Sokha Beach Resort provides daily 4 times shuttle bus service for travel to Ochheuteal Beach (local beach), Super Market, Phsa Leu Market (local market), and bank to explore Sihanouk Ville downtown. Experience a new felling with bike ride on the Beach and feel the fresh air with a great view of the blue sea. The pleasure time you can find and enjoy. 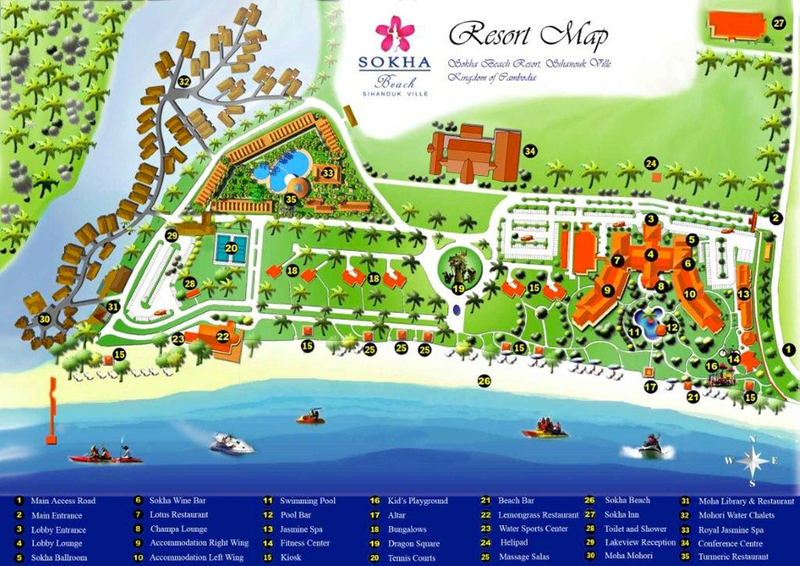 Pamper yourself in Kiosks by the beach in Sokha Beach Resort. Make the wellness be the part of your stay. Please contact our Recreation team to enjoy indoor snooker or table tennis games at Sokha Beach Resort. Play the Khmer traditional game in the cool shade next to the Sun Set Bar. Our team will be pleased to assist you to play this unique metal throw ball game. Pamper yourself with Khmer or Foot Reflexology massage, pedicure & manicure treatments while relaxing around the pool or along the beach by our well trained therapists. Let wellness be a part of your stay. Most recent booking for this resort: less than 19 hours ago from Denmark. Don’t miss your chance to stay at Sokha Beach Resort!